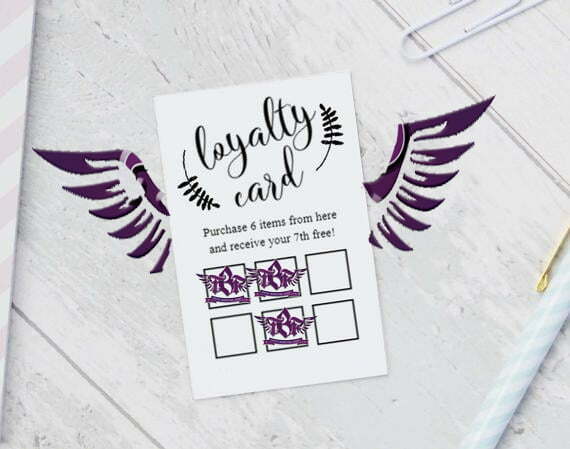 We all have a loyalty card for our favourite coffee shop in our back pocket, but do you the real benefits of having a loyalty scheme for your business? It actually costs a business between 5-25 times more to acquire a new customer than it does to sell to an existing one- not only that, but existing customers generally spend 67% more than a customer who is new to the brand. In short, customer loyalty is really essential, and because of this, customer loyalty programs end up paying for themselves. If you aren’t familiar with the term, loyalty schemes (or programs) came about when companies realised that there was little product differentiation due to similar looking (or tasting, smelling, functioning) products. In this fast paced environment of mass production, having loyal customers became more important and yet, more difficult. So, now that we know that loyalty schemes are a great way of getting your customer to return again, what’s the best option for you? The punch card is one of the most simple ways of having a customer loyalty scheme. It’s one that we probably all have in our wallets and use regularly. The idea is that if you buy a coffee or item in a particular place, they will stamp or punch a loyalty card for you, and after a certain amount of coffees that you buy, you will get one for free. The incentive of a free coffee will persuade the customer to buy from that coffee shop, rather than another, as there is a reward for it. A benefit of this method is that something small like coffee isn’t expensive to give away in a scheme like this where the customer has already bought six of them. Of course, this may be a great way to gain customer loyalty for items such as coffee or food, but if your product is considerably more expensive, say like software or a computer, it won’t work out as well for your business, as these are not regular purchases, and would cost too much to give away. One of the best options while adopting a loyalty scheme is a loyalty app. A loyalty app is an app which your customer can download onto their phone, and with each purchase, the loyalty app will enable the user with a few points. The customer can scan the QR codes or discount codes through a smartphone or tablet and enter the code in the app to gain the points. The reward? The points can be used to pay off a future purchase with the brand. This type loyalty program is popular amongst all sorts of businesses who have adopted mobility as their primary business strategy. It’s also a great solution for brands whose products may be too expensive to give away when it comes to using the punch-card scheme. On average, loyal consumers spend 67% more than the new ones and as we previously mentioned, according to marketing experts, customer retention costs less than customer acquisition. The 5% lift in customer retention increases the profit by 85%. These figures are real proof that customer retention is one of the most cost effective ways to generate a larger profit, so loyalty apps won’t just keep your customers happy, but you too. Mobile loyalty programs are far easier to maintain than physical cards, and offers can be changed in just a few minutes and sent to all users instantly. This means that less time and fewer funds need to be invested in mobile loyalty programs than in paper-based loyalty programs. The great thing about having a loyalty app is that it gives you a direct way to communicate to customers. This can be particularly useful in an emergency such as a recall. By looking at the purchase dates in the app, you can email relevant customers about a recalled product instead of sending out a generalised email which will be ignored or not seen by the target audience. Even without emergency cases such as this, loyalty apps are a great way to promote sales, special events, and showcase new products, as you can have them on the centre stage when the customer opens the app. Although the aim of your loyalty app may be to retain customers, a good rewards program can also attract new customers. If you offer points or discounts for signing up to the scheme, you will automatically be able to add new customers to your mailing list simply because people love to take advantage of discounts. Those customers who are already using your app and finding it a great way to earn discounts are bound to tell their friends and family about it. This means that more people will sign up (especially if it is recommended by a friend), meaning more purchases and clients for your business. These are just a few of the benefits of having a loyalty app for your business. The Business Fairy Digital Marketing Agency have years of experience in creating bespoke and branded loyalty apps that can help your company to retain customers and sell more products. 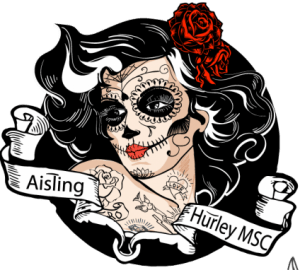 If you are interested in learning more about having a loyalty app for your business, email us at info@thebusinessfairy.ie. Sign up for the latest Digital Marketing News, special offers and flash sales. Your company’s success depends on you employees’ performance. What Is Wearable Tech And How Will It Affect Marketing?